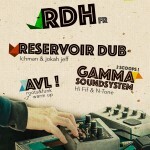 We are back in Brussels and we would be really happy to celebrate the Reservoir Dub’s birthday with you! The project is born in june 2008 with a radio show. In 2010, we have starded to organize some dances and in 2013 we have created a netlabel. 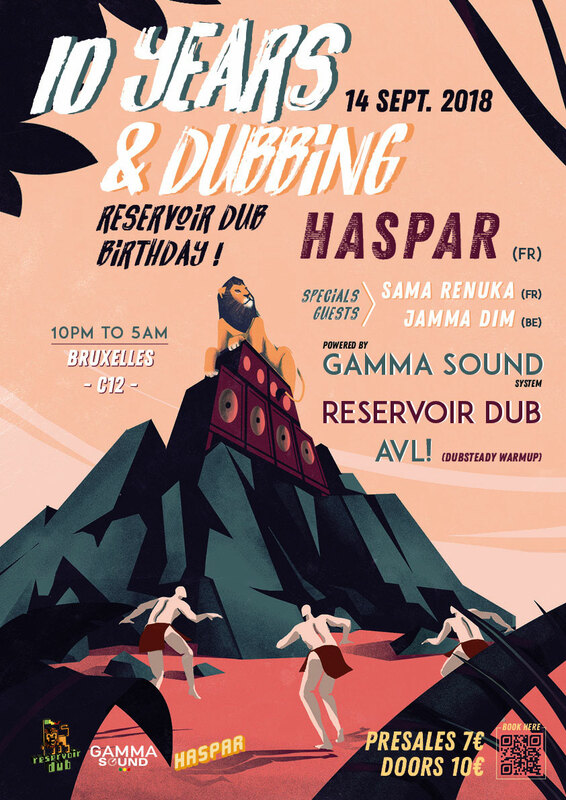 For this special birthday, we’ll have the pleasure to welcome for the first time in Belgium the dubmaker called HASPAR (Grenoble – France). 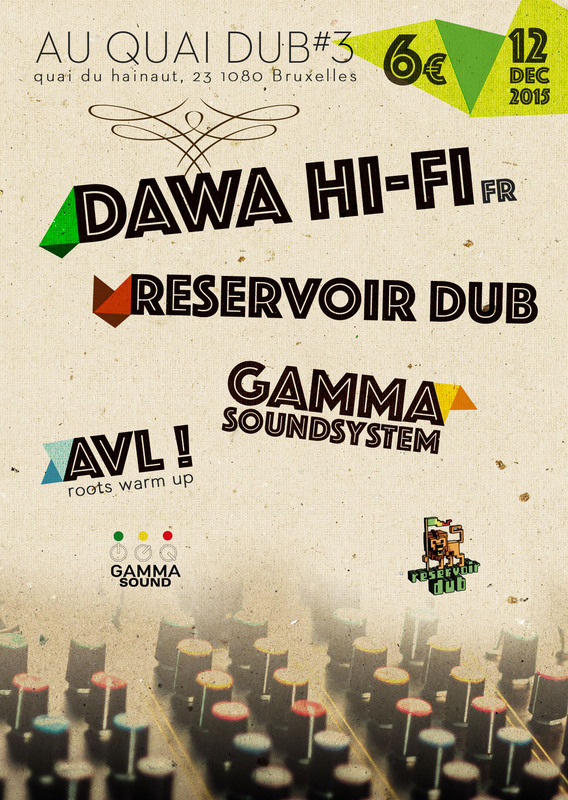 As usual, the dance will be powered by Gamma Sound. We’ll have special guests. 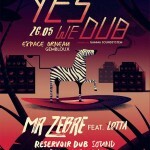 EVENT : YES WE DUB! 26.05.18. 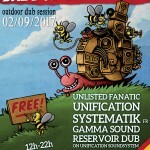 We are back with a new soundsystem event… Joins us! 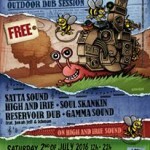 The dance will be powered by Gamma Soundsystem !! 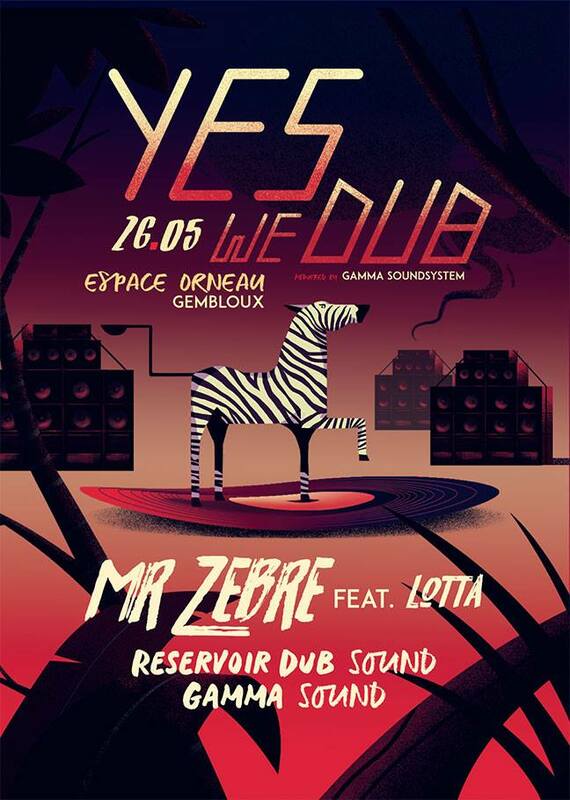 The venue is close from Gembloux train station. 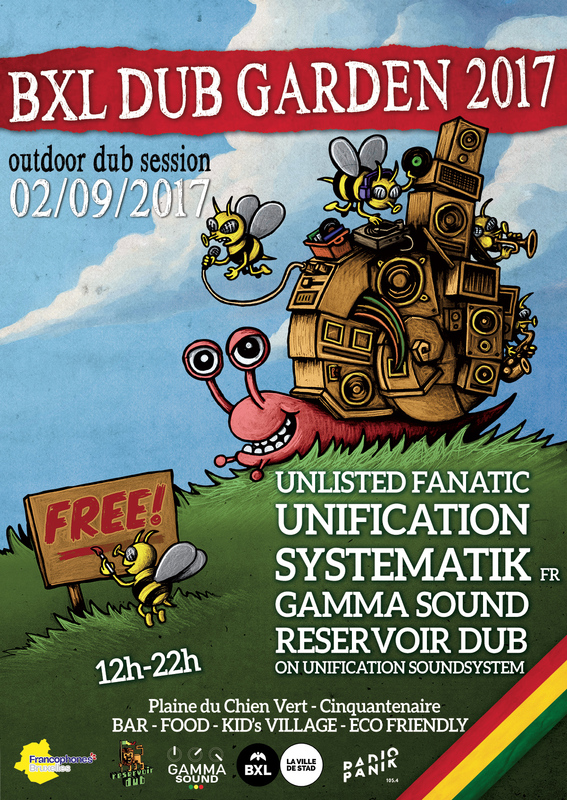 Brussels environment, the park owner, told us 10 days ago they also gave the venue to a new guinguette / open-air cafe . They have all the place… So unfortunately,It’s not possible to make it there if they are there as well. Brussels Environment showed us another place in the park but it’s not an official place and it would take so much time to have the different autorisations. And it’s not all. The have changed the rules about the sound limit. Last year we could push till 90 db. Now we can’t push over 85 db. It’s not enough for soundystem vibes as you know. If we play over 85 db, we’ll have a fine! Well, it’s really too much risks for us. We can’t do it with a sound so weak and without autorisations. 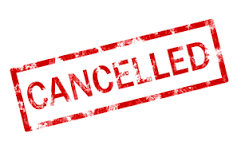 So unfortunately we have to cancel the session. We just don’t understand why the have waited till now to told us these importants informations. If we knew it a few month ago, maybe we could find another venue or directly cancel the event. It’s a shame. We worked a lot to make it happen and learn that so close from the dance is really hard. Be sure we will try to make a dance soon ! 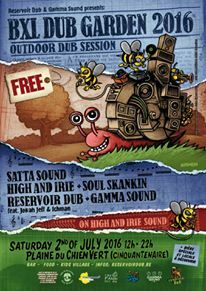 As every summer, we are happy to organize a new BXL Dub Garden edition with full of Reggae-Dub Vibes! Come with your your friends & kids, grandpparents & familly ! See you on the 2nd of september from noon till 10 pm! Come Early, early vibes will be Tuff ! Come with your kids and chill with them at our kids village. There will be some activies like for kids like bouncy castle, juggling, makups and more. 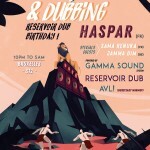 As every summer, Reservoir Dub is happy to celebrate his new birthday (8 years) with Reggae-Dub Vibes! Come with your your friends & kids, grandpparents & familly ! See you on the 2nd of july from noon till 10 pm! Come Early, early vibes will be Tuff ! 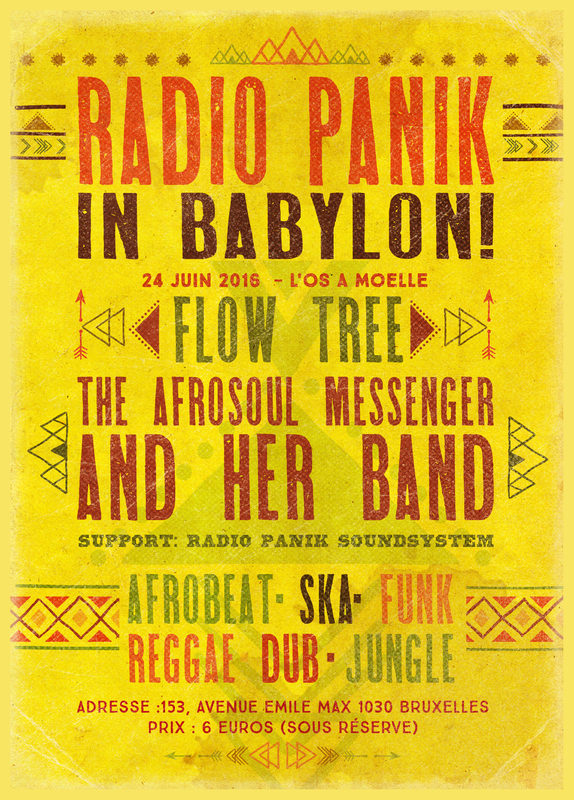 This 24th of June, in one of the oldest cabaret in Brussels, Radio Panik invites you to move your body to the sound of Afrobeat, Ska, Rocksteady, Funk, Reggae, Dub & Jungle. 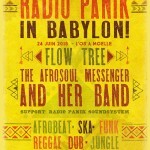 Au menu : Live performances with « The Free Flow » and « The Afrosoul Messenger and her band » followed by Dj’s from the « Radio Panik Sound System » including :Flying Platane, Soul Driver, Reservoir Dub & Mighty Patch vs I-Son. Come and enjoy our next dance. 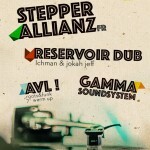 We have invited Stepper Allianz, Dawa Hifi, Culture Dub, K-Sann, La Face B and Triple Dose for the previous editions. 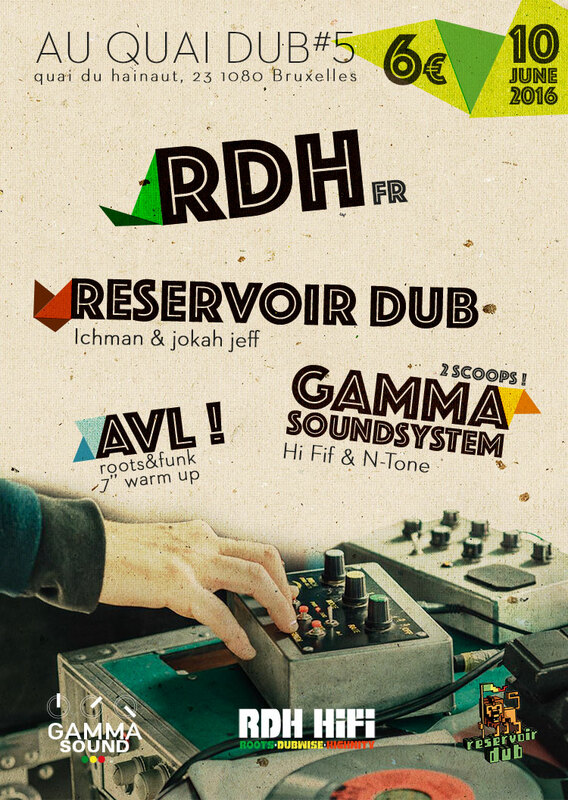 For this 5th episode, we’ll do it again at Collectif Au Quai with R.D.H. as special guest! Come and enjoy our next dance. 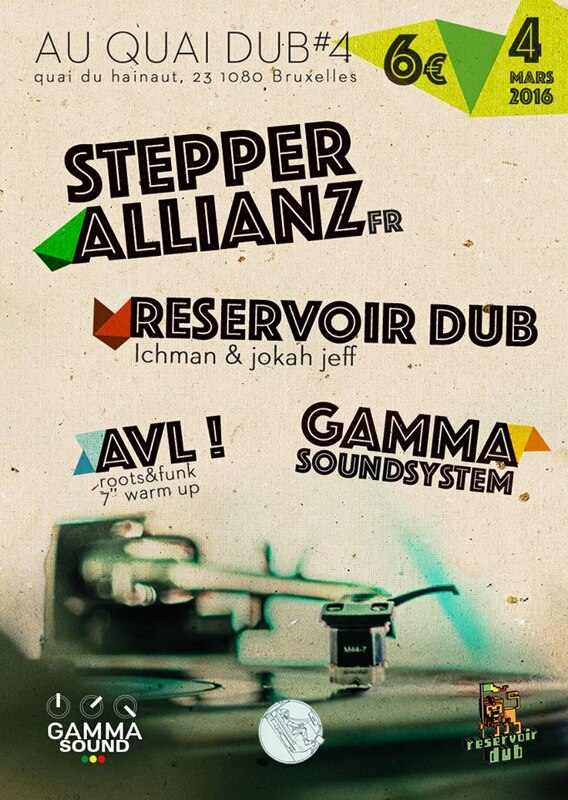 We’ll do it again at Collectif Au Quai with Stepper Allianz as special guest! Come and enjoy our next dance. We’ll do it again with Collectif AuQuai. 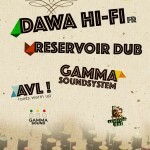 Last editions we had La Face B, Triple Dose, K-Sann and Culturel and this time, we’ll have the pleasure to invite our friend from Dijon : Val from Dawa Hifi.